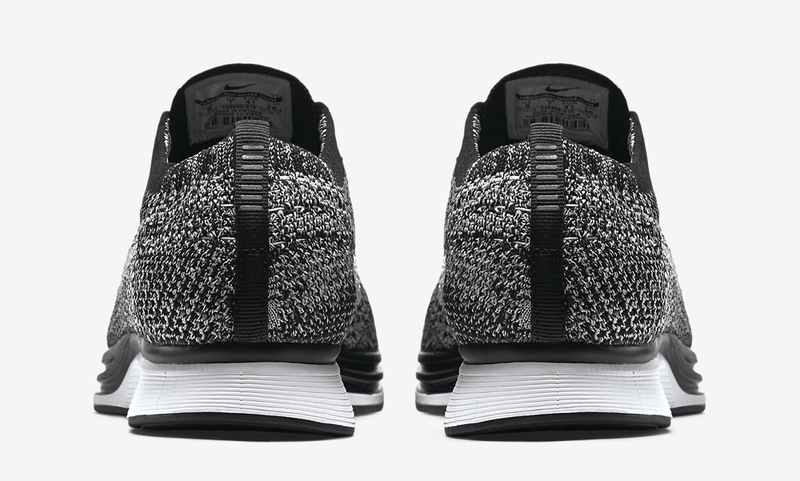 "Oreo 2.0" as the kids are calling them. 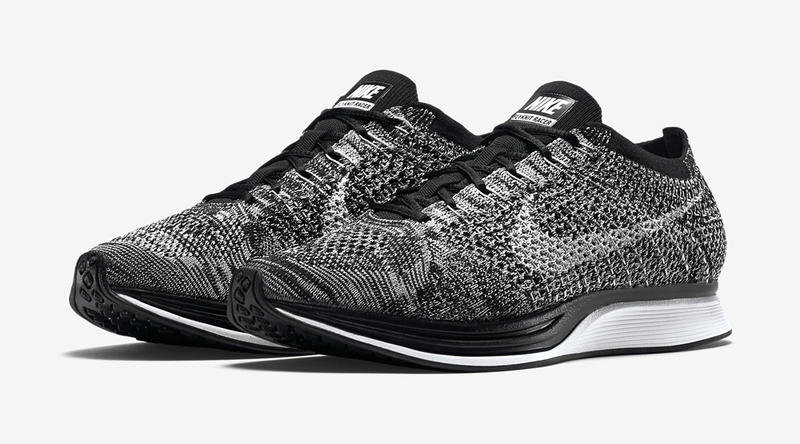 The Nike Flyknit Racer "Oreo 2.0" is the latest coveted Flyknit design, one that's got people anticipating a wider stateside release. The sneakers have shown up at some accounts, last week had a quiet drop at NikeLab 21 Mercer for example, but most spots haven't stocked the sneaker just yet. 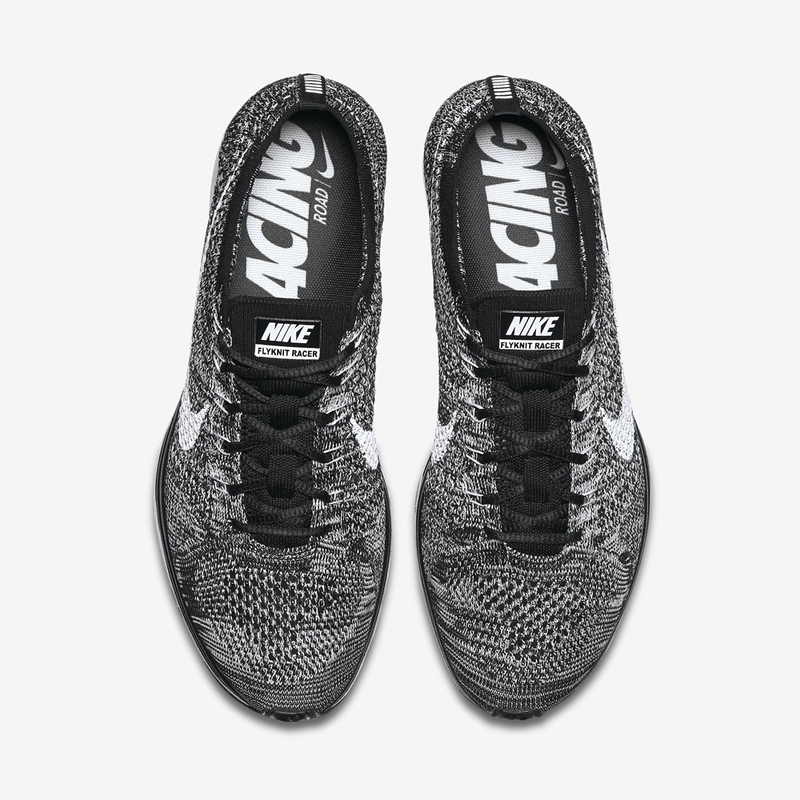 Even the most coveted of Flyknit Racer styles usually end up as pretty widely available (think the "Multicolor" and how easy it eventually was to pick up), so maybe all the fretting over this black and white pair is for naught. 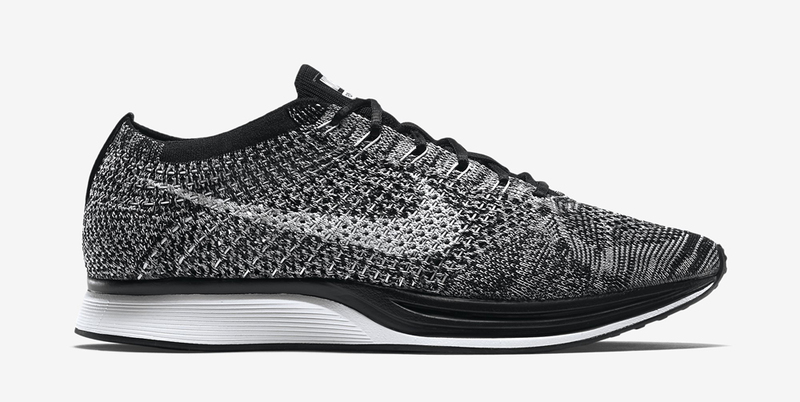 The good news is that this pair of Flyknits will be available on Nikestore on Friday, May 8.